The Deltas will play home matches for the inaugural 2017 season at Kezar Stadium in Golden Gate Park. Founded in 2015, the idea for bringing a professional soccer team to San Francisco was spawned by a diverse group of entrepreneurs whose goal was simple - to create an environment to bring the San Francisco community together. Since then, the team has secured Kezar Stadium for home games, hired its head coach Marc Dos Santos, and signed players from across the globe, as well as the Bay Area. “We are beyond thrilled to have such an incredible, forward-thinking organization and team in our city, let alone our gym. It’s apparent from the start that the San Francisco Deltas, coaches and front office hold this city and its residents in the highest regard and have robust intentions for their residency here in SF,” said Billy Polson, co-owner and founder of DIAKADI. After exploring many gyms and training centers in San Francisco, the Deltas found that DIAKADI had the ideal setup and the key equipment needed for their style of training. The team will be utilizing DIAKADI’s open turf space, Keiser equipment, free weights and Olympic platforms to ensure their players are in peak condition for the season. DIAKADI’s versatile floor plan and turf space will also play an integral role in recovery sessions, which provide players one of the best resources to keep them fresh for games. “We were looking for high-quality equipment and an open space that was also versatile enough to accommodate our own training tools,” said Kyle Thorne, Head of Human Performance for San Francisco Deltas. This partnership comes on the heels of DIAKADI Fitness Performance Life's most recent expansion project, DS+P (DIAKADI Strength + Performance), a 2500 square foot state-of-the-art training room in DIAKADI’s current 14,000 square foot facility. This expansion is designed for the sole purpose of improving strength and athletic performance for athletes of all levels and backgrounds. 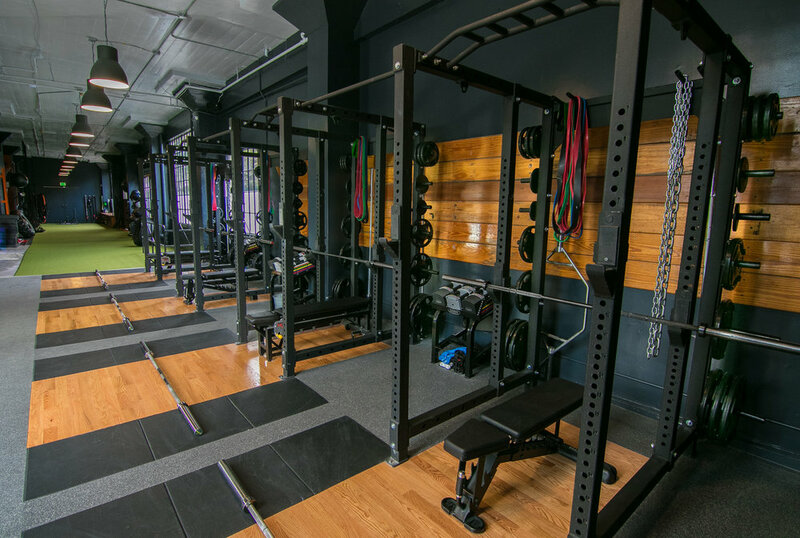 "With DS+P, we are bringing the tools and training most frequently found in collegiate and professional teams’ strength and conditioning centers into a facility that is designed for everyone," shared Mike Clausen, co-owner of DIAKADI. DIAKADI welcomes visitors to check out the new DS+P space. Click below to learn more about how working with a DIAKADI trainer can help you achieve your goals and challenge your body in new ways.